Science says the surf and sand does the mind and body good. Here’s how to reap the benefits of all that vitamin sea. Cornwall has more miles of coastline and more Blue Flag beaches than anywhere else in the UK, plus hundreds of hidden coves that are simply beautiful. From the golden bays of Abel Tasman to the naturally heated waters of the Coromandel Peninsula, New Zealand beaches pack as much sunshine and clean water as they do creative adjectives. From the wind-tickled shores of the Seychelles to the haunting, seal-dappled coast of Namibia, the continent’s sandy fringe is varied and dramatic. Here’s a small sample of Africa’s best beaches. For surfers, finding the ‘sweet spot,’ the most powerful part of the wave, is part of the thrill and the challenge. Now a researcher has found the exact location on the wave where a surfer gains the greatest speed to get the best ride. It is one of the marvels of the shore: the daily rhythm of the beach growing and shrinking with the changing tide. 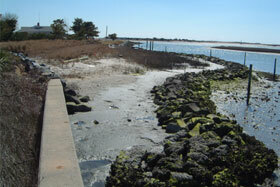 That beguiling strip of land revealed by low tide and concealed by high tide is known as the intertidal zone. It is beguiling to scientists, too. View a selection of Surfline Photo Challenge, May 2017. Today is World Oceans Day—and a global celebration couldn’t be more apt, since the seas unite us all, biologically and economically.